Capable of carrying a single pallet (weight 400kg and max height 1m). Great for quick delivery of documents, computers, pharmaceuticals, etc. 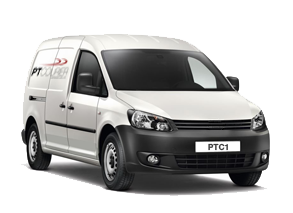 Volkswagen Caddy, Ford Connect or similar. Can carry two pallets (max total weight 800kg and max height 1.4m). VW Transporter, Vauxhall Vivaro or similar. 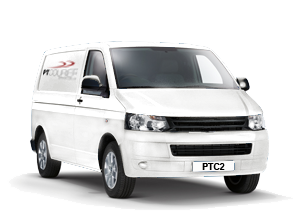 Able to transport heavy and long consignments, these vans have the highest weight capacity making them ideal for bulk printed material, IBC liquid containers, or other heavy palletised loads. 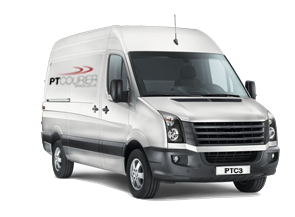 Ford Transit LWB, Mercedes Sprinter LWB or similar. Ford Transit XLWB, Mercedes Sprinter XLWB or similar. 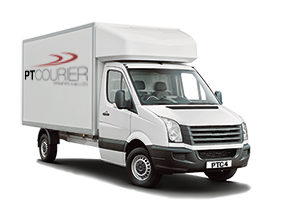 The large cargo door of the Luton van allows for very large bulky items to be loaded. Great for office furniture, fabricated metalwork, etc. Available with or without tail lift. From city cyclists to international haulage, we can arrange anything to suit your transportation needs.